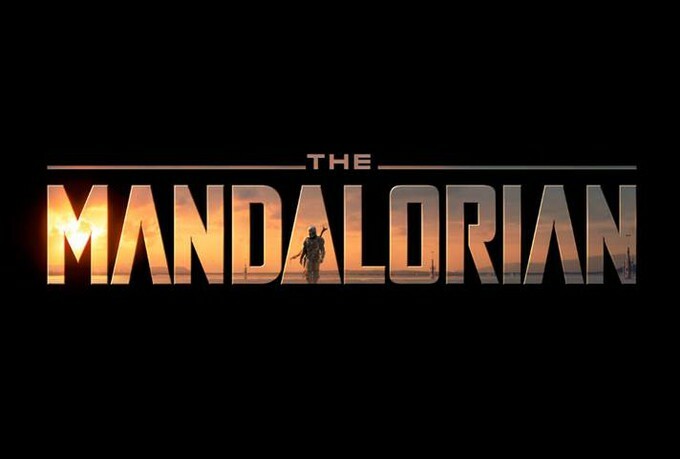 Today's Star Wars Celebration panel for THE MANDALORIAN was absolutely FULL of great stuff about the DISNEY+ series, and every single bit of it makes me more excited for this show! Writer and creative lead for the show, Jon Favreau. led the panel discussion, which also featured Star Wars animation and story guru, Dave Filoni and Lucasfilm President, Kathleen Kennedy, along with actors Pedro Pascal (GAME OF THRONES, NARCOS), Gina Carano (Muay Thai and MMA fighter, American Gladiators, Fight Girls, Almost Human), and Carl Weathers (DO WE REALLY NEED A RESUME HERE?). 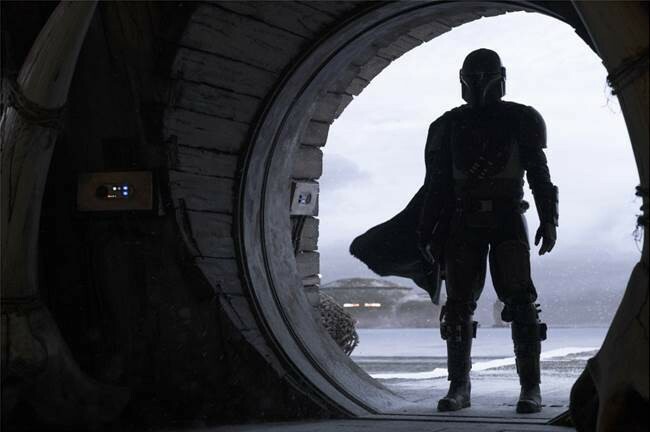 There were a ton of great moments, but I have to say that Pedro Pascal nearly being brought to tears while telling the story of being told he was cast in the role of The Mandalorian is at the top of the list. You can see a genuine love for Star Wars in his eyes when he's talking about it. 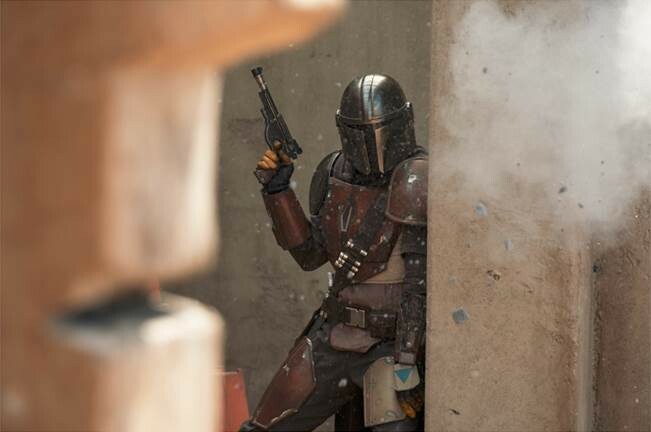 Favreau also related how long he has been working to get this story written and produced (for years), and that the beginning of that was when Filoni recruited him to voice the Mandalorian Pre Visla in STAR WARS: THE CLONE WARS. 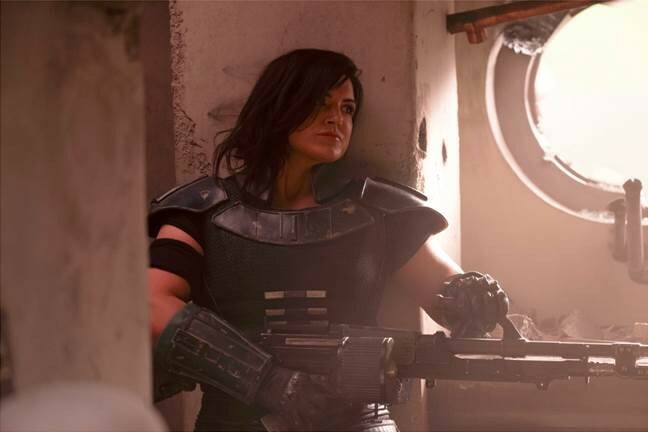 The emotional connection to the Star Wars universe by the actors and creative team is very evident throughout, and their enthusiasm is definitely contagious. 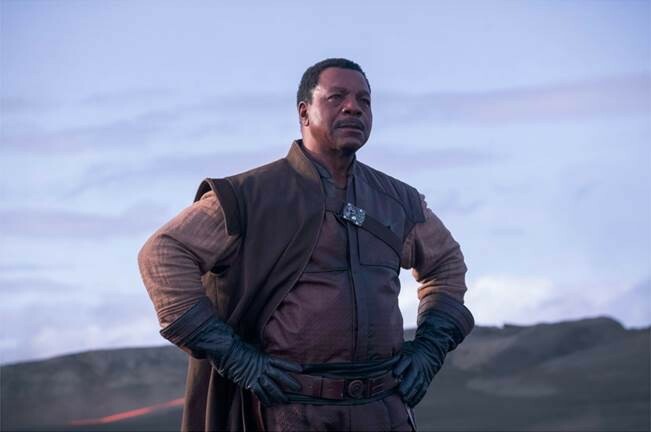 Carl Weathers as the head of the Bounty Hunters Guild! Another thing that get me really excited was the prodigious use of actual physical effects and ship models, as opposed to digitally-constructed fight sequences, explosions, etc.. They even went so far as to create a motion-capture studio that emulates the ship movements from the original STAR WARS Trilogy! The brief shots we got of the Mandalorian's ship, The Razorcrest, flying were VERY reminiscent of the space sequences from the films we grew up with, and totally feel in-universe as a result. I could type mountains of words about how exciting all of this is, but I'll let the video speak for itself Here's the full panel video! ALSO, Here's the trailer that was shown ONLY to those present at the panel (this is what was blacked out during the live feed): Video by GeeksInABar. AND... Thanks to Star Wars News Italia, here is MORE Secret footage they showed AFTER the feed ended! IG-88 IN FULL BATTLE MODE! HOLYCRAP. This show looks AWESOME, and I am 100% into what I'm seeing from it. That's it for now, so until next time, keep it geek!